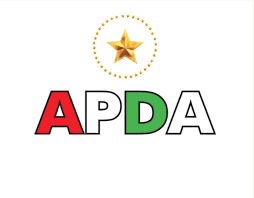 The Democratic Peoples Party (DPP) and the Advanced People Democratic Alliance (APDA), on Sunday, denied being in coalition with any political party or group, ahead of 2019 elections. National Chairmen of both political parties told NAN separately, in Abuja, that they were not part of coalition and urged members of the parties and the public to discountenance such information. Mr. Benson Garshon of DPP said that his party never had discussion on coalition with any individual or group of political parties. “It has come to our notice that some group of persons decided to list some parties that DPP is joining them to form a coalition. “The group also said that they will on Monday sign a Memorandum of Understanding (MoU) to that effect. “We are not aware and we are not part of the coalition. We are disassociating our party from it. “Nobody contacted my party and the DPP has not had any discussion with anybody or group of people. “Even if we are to do such a thing, the National Executive Council (NEC) will meet to take a decision on what to do. “We have never contemplated on such issue. Even if we have to, it has to pass through due process of the party administration. Garshon added that DPP would be fielding candidates for 2019 presidential and other elections in accordance to the Independent National Election Commission (INEC) time-table and the Electoral Act. On his part, APDA’s Malam Shittu Mohammed said that his party was not also involved in any collation either for 2019 or other elections ahead. Mohammed said APDA was a strong party with members across the country. “APDA national leadership is neither aware nor party to any discussion or agreement to join a coalition for whatsoever reason. “Those making the rumour were doing it for interest best known to them. APDA is not part of the said coalition. Mohammed added that APDA was already working towards successful contest in 2019 and future elections.